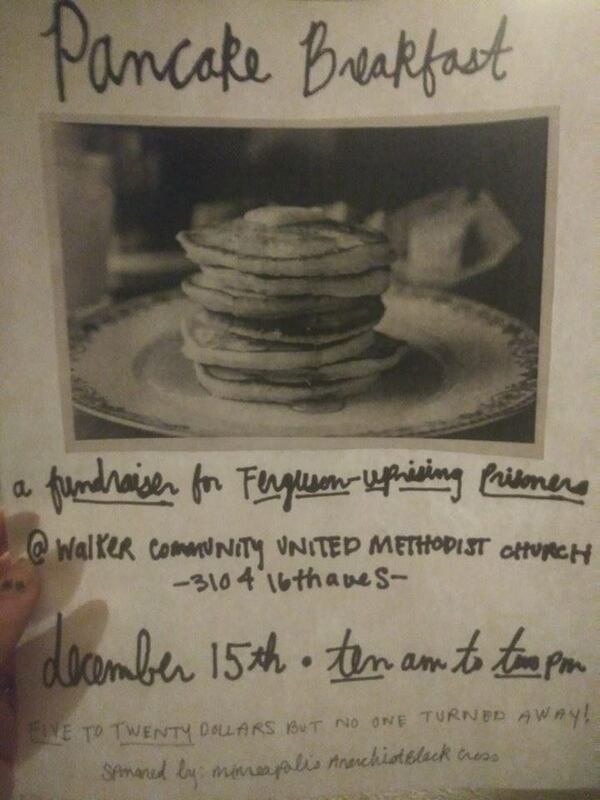 Join Minneapolis Anarchist Black Cross for a fundraiser to support Ferguson-related prisoners who are still facing time stemming from the Ferguson protests following Mike Brown’s death in 2014. We’re asking five to twenty dollars, but no one turned away for lack of funds. We’ll have vegan, gluten free, and soy free pancakes along with regular! Please spread the word.